When it comes to summertime desserts, I tend to opt for all things simple and refreshing. Fruits are often the star, especially when they're fresh and local. So, when I got my hands on a giant container of juicy blueberries last weekend, I knew that I had to make them into something special. In an act of perfect timing, I got the chance to sneak a peak at Canadian Living's August cover recipe - a deliciously comforting blueberry cobbler. If blueberry pie and cornbread got together and had a baby, this dessert would be their offspring! When a crispy, crumbly topping sits on top of a mountain of sweet blueberries, it’s a challenge not to devour it straight out of the oven. 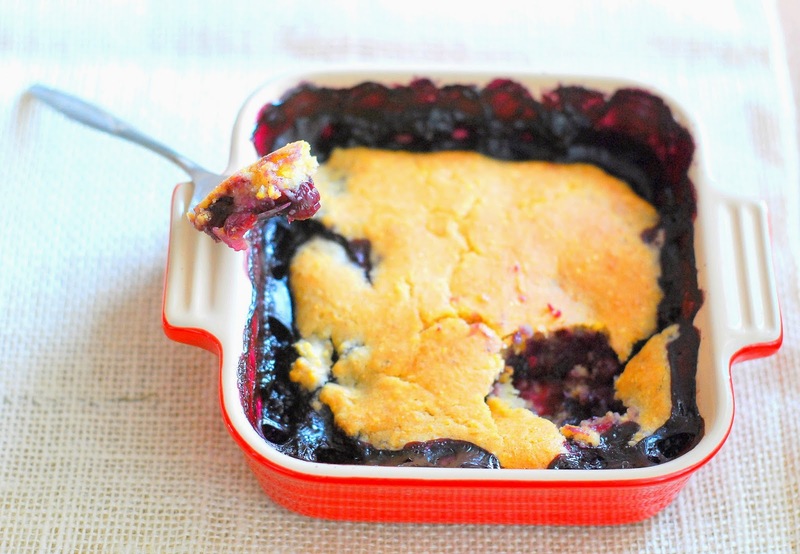 Not only does this comfort food taste as incredible as it smells, but it’s super satisfying to crack through the cobbler crust with your spoon for that very first bite! You can whip yourself up one of these babies at home in no time flat, just follow the link below to take you to the original recipe on Canadian Living's website. Tip: top with a dollop of ice cream for an extra summery touch!